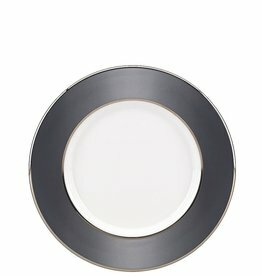 We love this choice for a modern table that nods to classic design. Will work beautifully with any gold accents to create lasting memories for your gatherings of loved ones. 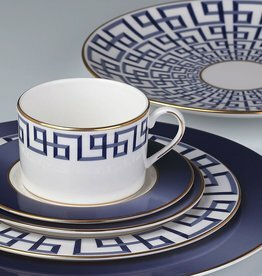 This durable china is a fabulous choice for a stylish table. 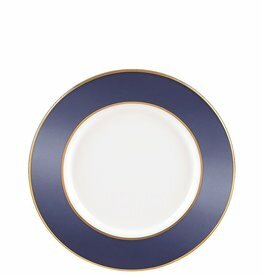 Works beautifully with gold accents for a stunning presence for a gathering of friends and loved ones. A perfect addition for cocktail hour. This stunning setting of durable bone china works beautifully with today’s trend and will last as an updated take on classic design. 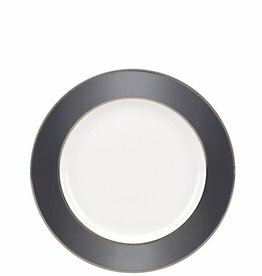 Works beautifully with platinum, polished aluminum and silver accents for a table that speaks beautifully. This is a perfect grouping and all you need for entertaining buffet style. Add it to your collection for entertaining a crowd. 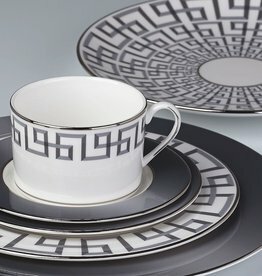 This stunning setting of durable bone china works beautifully with today’s trend and will last as an updated take on classic design. 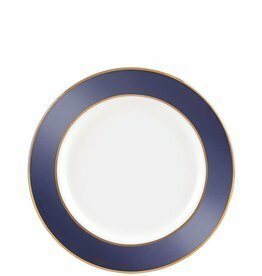 Sold in placesetting or here as open stock. This is for the straight-sided cup. Brian Gluckstein is renowned for creating interiors that are both luxurious and comfortable. 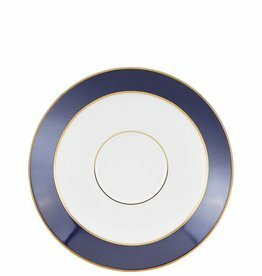 That luxury is brought to the Darius Gold Cup & Saucer in a directional and dimensional rich blue design with ombre effects and gold trim. Dishwasher safe.